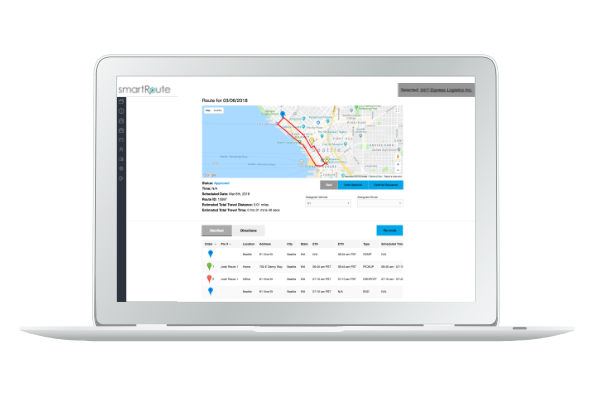 Greenlight SmartRoute — Routing and Logistics for Fleets — Sirqul, Inc.
SmartRoute pow­ered by Sirqul is a rout­ing and opti­miza­tion solu­tion that enhances a fleet’s oper­a­tional effi­cien­cy, enabling each vehi­cle and dri­ver to max­i­mize the amount of car­go they can pick up and deliv­er while min­i­miz­ing miles, hours, and over­all cost. 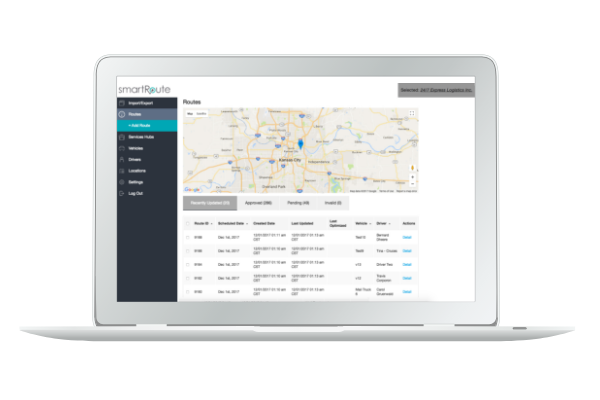 The SmartRoute solu­tion was built for any sized fleet com­pa­ny to have their ship­ments opti­mized for pre-sched­uled and/or real-time rout­ing. Ship­ments are opti­mized to max­i­mize the car­go space for each avail­able vehi­cle, pre­ferred zoned or non-zoned rout­ing, pri­or­i­tiz­ing reduced time and miles dri­ven, and much more. Hun­dreds of dif­fer­ent rout­ing set­tings and levers have been imple­ment­ed to provide car­ri­ers the flex­i­bil­i­ty to deter­mine how they want their routes to be opti­mized, since not one car­ri­er oper­ates the same as anoth­er. Sirqul™ pro­vides an Engage­ment-as-a-Ser­vice (EaaS) IoT Plat­form with Smart Mesh net­work tech­nol­o­gy to dri­ve engage­ment, oper­a­tional effi­cien­cy, rapid inno­va­tion and new rev­enue streams. At the foun­da­tion of Sirqul’s plat­form are 400 APIs, 80 ser­vices, and 30 indus­try focused, cus­tomiz­able white-label appli­ca­tion tem­plates for rapid­ly deploy­ing IoT instances on a scal­able build­ing block plat­form. We are thought lead­ers, engi­neers, cre­ative thinkers and mobile app devel­op­ers with over 23 years of tech exper­tise in device-to-device com­mu­ni­ca­tions, back­end infra­struc­ture and mobile. Our mis­sion is to cre­ate a tru­ly dis­rup­tive and viral­ly adopt­ed full stack IoT plat­form with no heavy lift­ing — hard­ware, soft­ware and mobile. From the small­est devel­op­ment teams to For­tune 50, inno­v­a­tive orga­ni­za­tions use Sirqul to reduce the time from IoT inspi­ra­tion – to real­i­ty.